The MEA Phoenix provides a complete, tailored hydraulic actuator solution for DCU valves, including Wilson Snyder switch valves. Its coke drum feed switch valve process is fully automated, allowing operators to complete delayed coking operations accurately—and safely—by simply pushing a button. Although the initial cost may be higher, the Phoenix offers drastic long-term savings over the life of the valve through its longevity, durability and simplicity. As they do not need steam in the operational process, there is also the added eco-benefit. 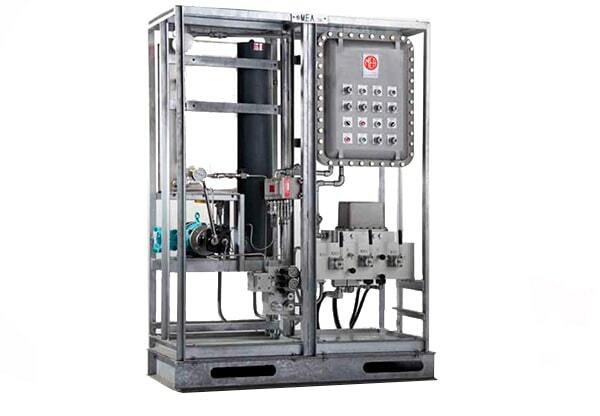 A standard system configuration consists of a single Hydraulic Power & Control Unit (HPCU) that controls a lift & turn actuator which is coupled to the valve. Systems can be designed to accommodate additional valves, via a centralized HPU or remote self-contained actuators.